I was trying to decide between sweet potatoes or regular mashed potatoes for my Thanksgiving meal. Martha Stewart, the persnickety domestic goddess, reminded me there is no need to choose. 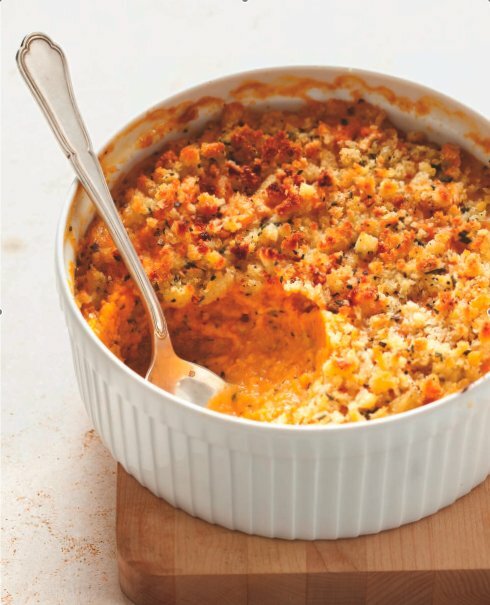 This recipe features both sweet potatoes and regular potatoes with sage-butter goodness and a crispy breadcrumb topping. Yes please!